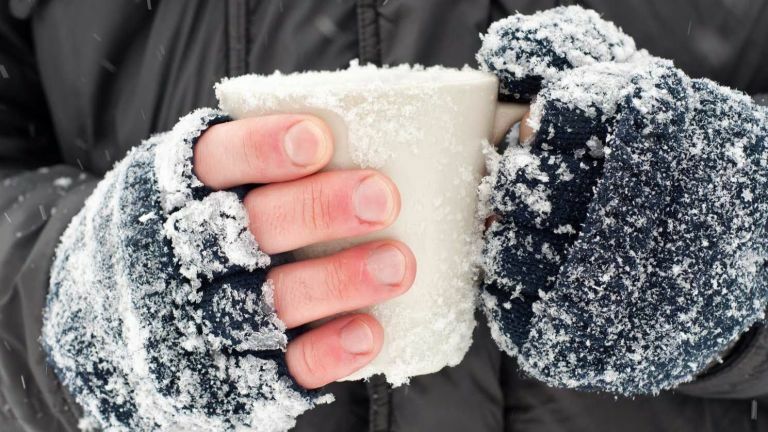 Walking outdoors in winter can be super-refreshing, but not so enjoyable when biting winds and icy temperatures start gnawing on your fingers – in these situations, arming yourself with the best hand warmers for winter can be a real saving grace. These palm-sized gadgets come in different guises, but all are small enough to slip inside your gloves, keeping your hands and fingers warm as you venture outside. What are the different types of hand warmers? When most of us think of hand warmers, we picture those little clickable pouches of liquid that seem to heat up like magic. Take a look at our picks for the best hand warmers, though, and you will see that they come in other guises too. For starters, let’s take a look at reusable hand warmers. Aside from being environmentally friendly, they’re stylish numbers that look like the old fashioned cigarette lighters. While they may cost a bit more than the average chuck-away, with a bit of oil they can slowly simmer inside your pocket, keeping it nice and toasty for when your hands require that bit of respite from the cold. Zippo is probably the most recognisable brand when it comes to reusable hand warmers; they claim that their product, the aptly named Zippo Hand Warmer, offers 10x more heat than a disposable hand warmer, and on a full tank can provide a full 12 hours of heat. These types of hand warmers are good if you’re going off-grid for a while, so long as you have a backup of oil for topping up. Alternatively, there are battery powered hand warmers. A new concept stemming from the efficiency of lithium ion batteries, these rechargeable hand warmers, like the Human Creations EnergyFlux Ellipse Hand Warmer, offer around 6.5 hours of adjustable heat, and they can even charge your device up if the dreaded low power mode switches on. If you’re a traditionalist at heart and don’t fancy forking out any more than necessary on a hand warmer, you can’t really go wrong with Hot Hands Instant Hand Warmers, which use the old click method to generate heat. So, with all your options laid out in front of you, let’s consult Amazon and some outdoorsy retailers for the best hand warmers your hard-earned cash can buy. Adopting the style of an old-fashioned cigarette lighter, this is a fairly hip hand warmer made more popular by the 6 different designs you can choose from. It works by slowly burning the specific Zippo fuel created for use in hand warmers. The warmth is flameless, so you don’t need to worry about it setting your pockets on fire, and Zippo has even invested a refill system to make transferring the fluid as easy as possible once it's run out. On a full tank, it’ll provide 12 hours of warmth – great if you happen to be heading up the mountain for the day, or planning to go off-grid for a while. If you don’t like the idea of filling up your hand warmer with oil each time you want to reuse it, this battery-powered hand warmer is a good alternative. Harnessing the power of a lithium-ion battery, all you need to do is plug it in before you head out on your winter walk. There’s an LED light system to indicate when the hand warmer is heating up, whether it's on low heat or high heat, and when it’s getting low on charge. While it lasts 6.5 hours on low heat, high heat will naturally eat up the charge quicker – factor in an iPhone charging on the USB port, and it won’t last long at all. Still, for convenience's sake, and for short stints out in the biting cold, you can’t go wrong. Hot Hands have been around for a while and still continue to be an extremely popular choice when it comes to investing in hand warmers, especially if you’re only hitting colder climes for a couple of days. Relatively cheap to buy and providing a day’s worth of heat, they certainly get the job done, but don’t tend to emit as much heat as reusable hand warmers. While they aren’t reusable, they are made from natural materials, and as such are non-toxic, even when the heat produced is done so via chemical reaction. Whether you’re off exploring cold, mountainous areas or simply don’t want to have to worry with refuelling every couple of days, this Peacock hand warmer provides up to 30 hours of heat with just one tank. It uses the same fuel as the Zippo lighter, and comes with refilling aids to help you keep it topped up. With its flashy, elegant design, the Peacock Hand Warmer could also make a handy gadget for anyone who suffers with cold hand syndrome. If you’re looking for a quick fix, you can’t go wrong with these budget friendly hand warmers from Lifesystems. The Reusable Hand Warmers have been around for a while, and use a chemical reaction to generate heat. While they don’t last as long as the other gel hand warmers, they are resettable. That means you can pop them in boiling water for a short spell, where the crystals formed from the chemical reaction turn back to gel... And you can reuse them again to keep your hands toasty when outside.